Jailbreak now seems to be so usual for iPhone fans,people through this way to get their Apple devices work the best. However, if users performed wrongly, like forget to back up, forget to removed screen lock and add plugins at will, devices then probably caught in jailbreak reboot cycle. Once iPhone frozen in the jailbreak boot loop, what can we do to fix? This article will surely help you! Part 1: Most Effective Method to Figure OutJailbroken iPhone Boot Loop. Part 2: Conventional Solution for FixingiPhone Endless Reboot Loop. To safely and quickly handle this kind of problem, we highly recommend youuse a free tool Any iOS System Repair (ReiBoot) for solving the endless reboot. Any iOS System Repair (ReiBoot) is designed for getting in and out of recovery mode, through this process can help users achieve some functions they need in recovery mode or settle stuck problems like white apple, blue/red/black screen, boot loop, etc. Any iOS System Repair (ReiBoot) will intelligently restart your Apple devices without data loss. Then, let's check how to do. Step 1: Install and launch Any iOS System Repair (ReiBoot), then connect your iPhone with PC/Mac via USB. The program will automatically detect your device and you need to click "Enter Recovery Mode". Step 2: Your iPhone will successfully enter the recovery mode in seconds, then click "Exit Recovery Mode" for rebooting. And your iPhone will return to normal. Once you have tried but still cannot get out of trouble, then you might consider whether the operating system failure occurred. If so, you can use "Fix All iOS Stuck" function to repair your iPhone. Through this function, Any iOS System Repair (ReiBoot) can fix over 50 iOS frozen problems, don't hesitate to have a try. Trick 1: For most of the Apple users, they tend to use hard reset for restarting their devices, but for jailbroken devices, there is another method. 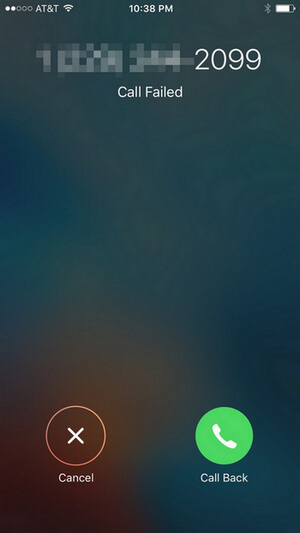 To get your device out of stuck problem, you need to press the Volume Up button and you will see the lock screen. After this process, run your jailbreak program and uninstall the tweak. If the button on your iPhone cannot be used, use the earphones for another time. Trick 2: If you have already backed up your devices, you can try to restore in iTunes which can also help you to fix the reboot loop. What you need to do is connect iPhone with computer and restore it from the previous backup. We sincerely expect you can fix iPhone X/8/8 Plus/7 Plus/7/6s/6/5s/5 stuck in reboot loop after jailbreak by using the methods we provide. When you meet with the same or familiar issues, don't forget to review what we have discussed. If you have any another problem, connect us, we will always be there for you.